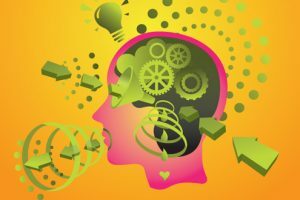 Language acquisition is the cognitive process by which human beings, using their innate linguistic competence, learn to communicate verbally, using their mental faculties as well as organic, physiological devices in order to produce sounds arranged in a certain way as to convey meaningful expressions. Human beings are able to learn and absorb information from their social environment since the time of birth, during childhood and in puberty. However, it is worth noting that this process can be somewhat limited by age and it takes place mainly in childhood and is referred to as ‘critical period’ that is during the first 4 or 5 years of the life of a child. That means that children have an innate ability to learn new languages and it is the critical period when they should have the most exposure to the objective language; in other words, the language that is intended for the child to learn. Naturally, grown ups can also learn languages and there is no reason why even someone at an advanced age should not try to learn a new language. Perhaps, it might be a bit more difficult for an adult to acquire and master a new language than for a child but it is definitely NOT impossible. The difference with children and adults lies in the brain and that a child’s brain is still developing in growing, which makes it easier to store information in the “deeper layers”. As mentioned before, when it comes to first language acquisition, in most individuals this occurs primarily during the first five years of life, particularly the acquisition of linguistic forms and contents. During the early years, learning takes place at a much faster and exponential rate and the basic elements of communication are consolidated given that the brain is in constant growth.